A Nigerian official claimed Monday that the military knows the whereabouts of the 276 schoolgirls kidnapped by Boko Haram terrorists more than a month ago and has ruled out using force to rescue them. The official said that the military could not disclose the location. U.S. military officials were quick to say that they could not confirm the report, and the Nigerian government has been under pressure to show progress in the hunt for the girls. 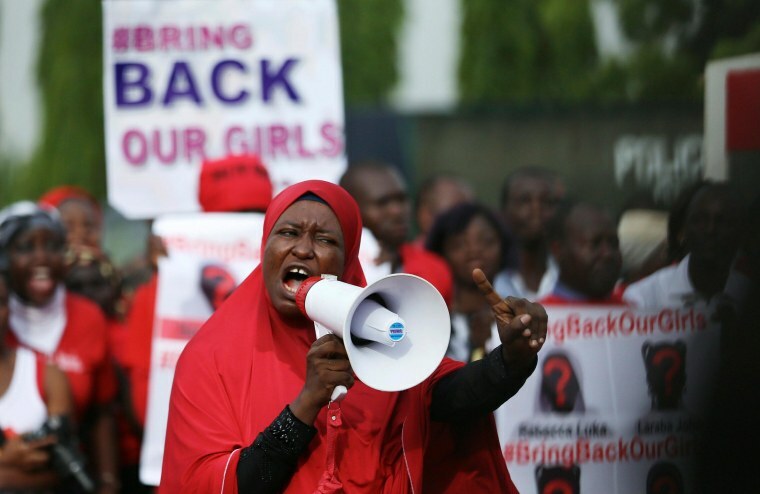 American officials have been skeptical of the Nigerian military’s ability to find the girls because it is poorly trained and led and believed to be infiltrated by Boko Haram sympathizers. “We still don’t know where the girls are,” one U.S. official told NBC News. The girls have been missing more than a month since they were abducted by Boko Haram, an Islamist terror organization, which first vowed to sell them into slavery and then said it would free them only in exchange for the release of militant prisoners. The United States has deployed an unmanned predator drone over Nigeria to help find them, and at least 80 American military personnel were dispatched to the neighboring country of Chad to help in the search. Jim Miklaszewski of NBC News contributed to this report.